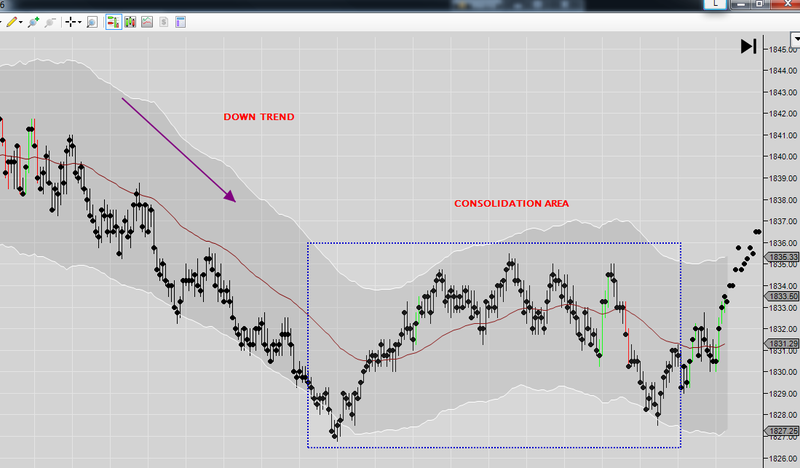 Trends and Momentum will be your best friends in trading, when you know how to read them and spot what the changes are. Strong trend going up – you see a run going up, and then a retracement going down. This is what regular trends look like. Trend going down, with a huge slowdown. Slowdowns (also knows as sideways movement, transition areas and/or consolidations) stop the trend it can either go in a new direction or after some time continue in the same direction. 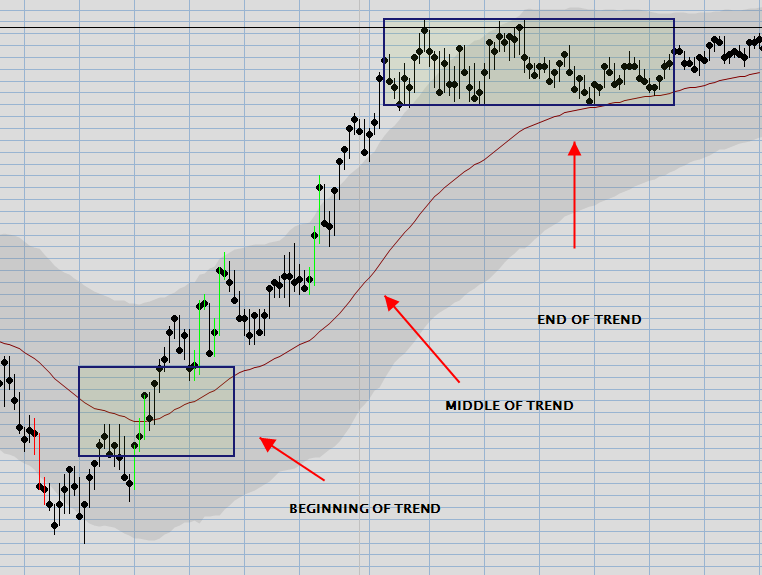 This particular trend slows down and then changes to the up trend. Slowdowns, sideways movement, consolidation, transitions can be deadly for traders. That is why it is CRUCIAL to know what you are doing when you have reached one. And they are also the place where you learn when NOT to trade. « « Previous Post: Ticks and Points – What in the World are These? 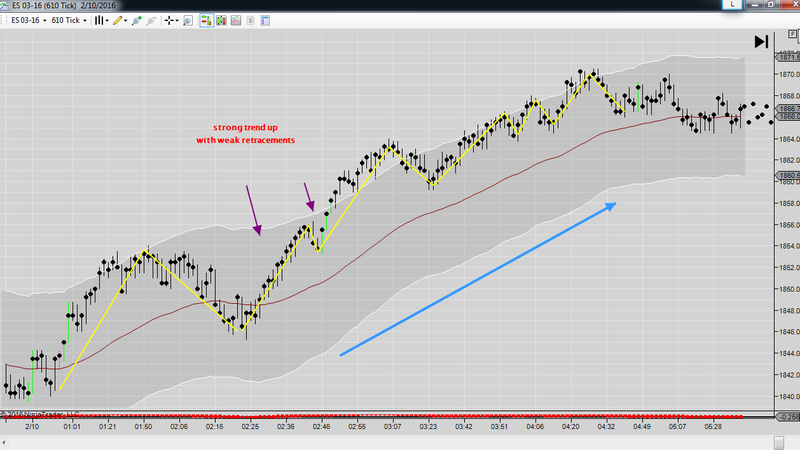 This entry was posted in Chart Review, Day Trading. Bookmark the permalink.